The current-day mobile market shows explosive growth with the worldwide sales of mobile devices that are predicted to reach 2.1 billion by 2019. The ongoing mobilization inevitably boosts mobile app creation, and the market demand for them is expected to outstrip fivefold the service providers’ development capacities. Mobile application building is thus a gold mine for companies that can develop quickly and competently. But how does one build a quality software within short timeframes if there are several platforms on which the app must be replicated? Indeed, as statistics show, the mobile market is divided among Android, iOS, Windows Mobile and other mobile operating systems, with their respective shares of 81.7%, 17.9%, 0.3% and 0.1%. Businesses should consider developing their software for all mobile operating systems to achieve maximum reach. Below are the reasons that explain why use Xamarin and what benefits service providers can get from this tool. Xamarin.Forms helps convert apps written in Objective-C, Java and .NET (for iOS, Android and Windows, respectively) into Xamarin language (C#) by sharing its codebase among the platforms. The shared codebase, as well as its libraries with Visual Studio or Xamarin Studio, allows writing single software that suits all operating systems. This software provides full native user experience, behavior and appearance patterns at the same time. The only thing that keeps Xamarin-based software from the full native performance is the extra abstraction layer. Despite its absence, the solution leaves behind other hybrid development tools with capacity indexes that are comparable with Objective-C, Java and .NET for iOS, Android and Microsoft. The research of the IBM Center for Applied Insights shows that two-thirds of mobile applications fail to meet schedule and budget, and to fulfill project goals. A powerful hybrid development tool, Xamarin helps companies minimize the costs and the time spent on app creation while maintaining the native user experience and robust application architecture. About 15,000+ service providers, do not wonder “How good is Xamarin?” anymore. Rather, they have set about leveraging its advantages in their cross-platform solutions to create robust and up-to-date apps for smartphones and tablets. Moreover, giant enterprises such as CocaCola, Kimberly-Clark and Siemens have also gone along this route and turned to Xamarin for the development of their mobile solutions. 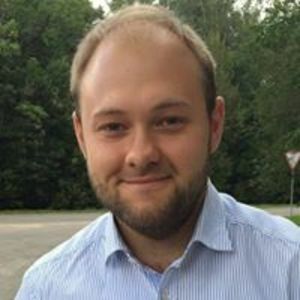 Stanislau Belachkin is a Business Development Specialist at SaM Solutions. SaM Solutions is an international software services and solutions provider with over 20 years of experience. We focus on IT consulting and custom software engineering services for both the U.S. and European markets, leveraging global resources.